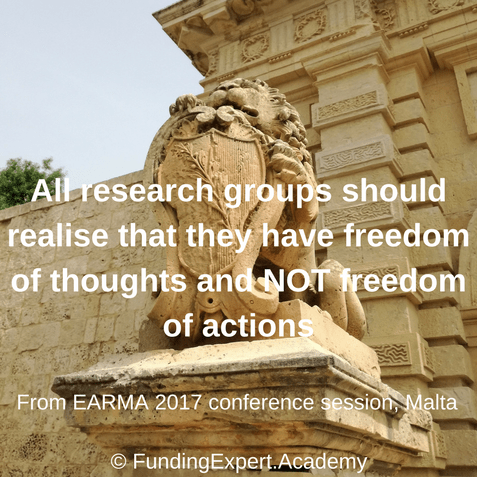 I have just returned from Malta that I was there for the EARMA 2017 conference that took place 24th-26th April 2017. 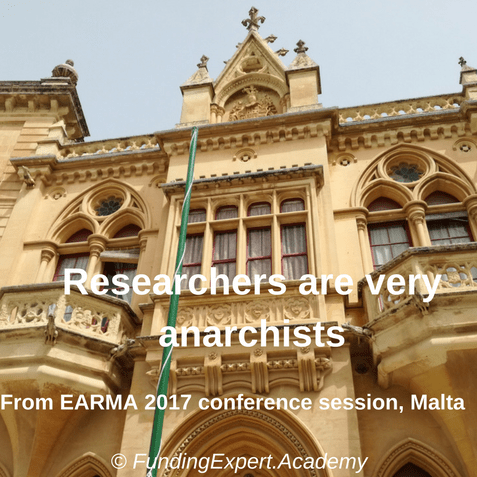 This was the 23rd Annual conference organised by the European Association of Research Managers and Administrators. 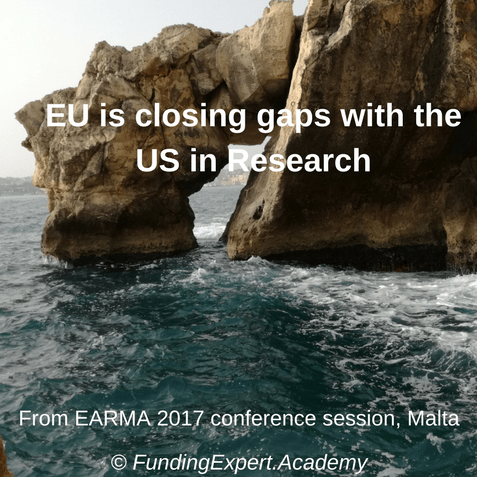 It was the first time that I was attending it after some of my research students have been suggesting me to attend it. I have to say that I have really enjoyed it. 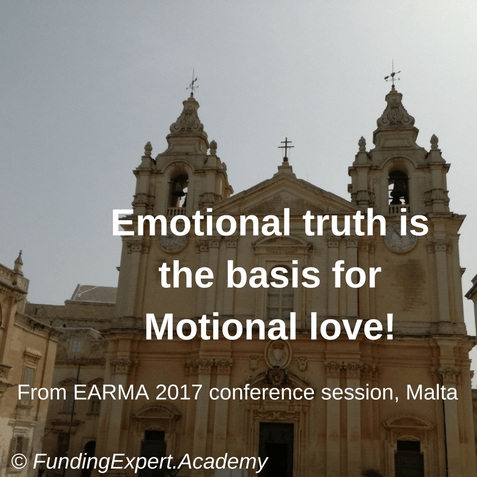 It was a very intensive event with a lot of sessions to attend. Although contentwise, there wasn’t really anything new for me to discover, the networking opportunities were remarkable as well as a couple of sessions gave me also some further ideas and inspiration for my training courses. 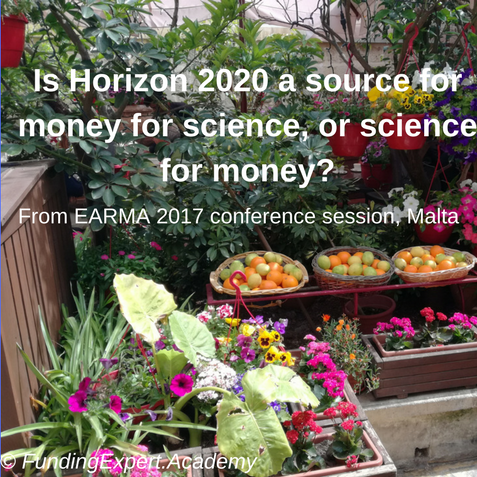 The focus of the EARMA conference was on Horizon 2020 but not exclusively, since there were also some other topics related to other International or national research funding schemes. 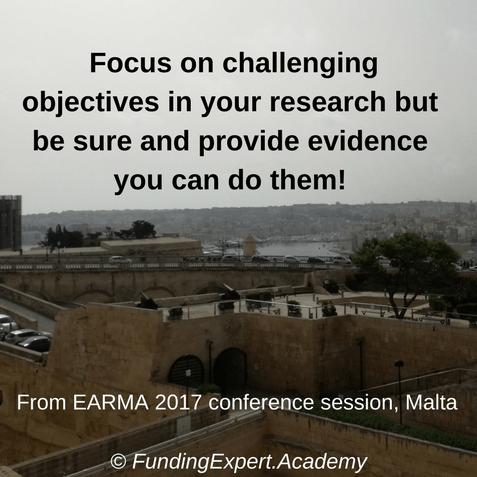 For more details on the EARMA 2017 conference and the three things you need to apply for exploiting it successfully, you can watch my video below that I review EARMA conference, how it can be improved and what you need to apply for making sure that your investment in time and resources is really worth it! 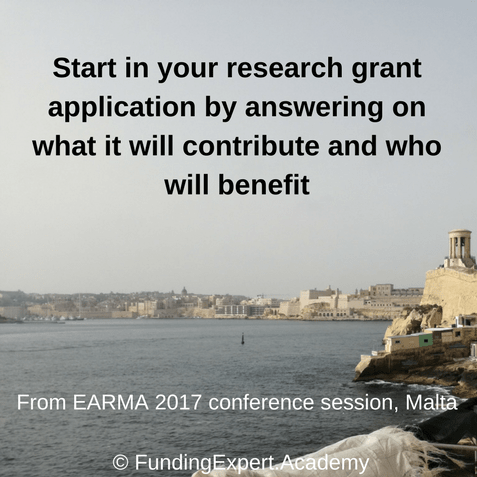 In the following video, I reveal with more details what I took from EARMA 2017 conference in Malta, how it can be improved and the 3 things that anyone needs to apply for exploiting successfully EARMA conference. Enjoy it!